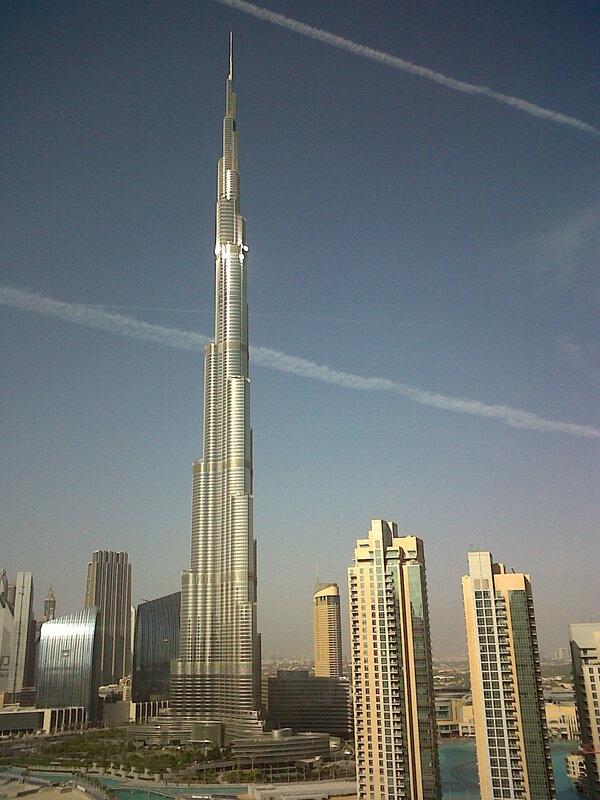 Some poor blighter threw himself off the Burj Khalifa, Dubai's and the world's tallest building today. The local newspapers are busy digging up the facts already. 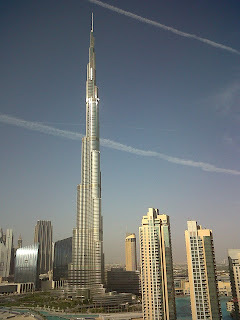 It has emerged so far that the man was working in the Burj and had asked his boss for holiday but was refused. He only fell 40 of the 140 odd floors before coming to rest on a projecting part of the building. You can see from this picture that I took from a flat that we didn't rent a couple of months ago why that would have happened. You would think as someone had died on the building today that there would be some mark of respect shown, perhaps a small section of it left in darkness, but no, it was still lit up like a Christmas tree as the Sand Warlock and I drove home from Carrefour in Deira (also known as the seventh circle of hell) this evening. The great show of opulence in the Vegas of the Middle East doesn't stop for anyone. Unless you're a Sheikh or a member of a Sheikh's family, that is. It's quite worrying that it's possible to jump off the Burj. We've been up there and there are 20ft high glass barriers that would appear to stop you doing so. However, as someone who's sat through plenty of suicide-related inquests, I can tell you that although those left behind often feel guilt about failing to stop them, there's really nothing anyone can do when someone is really determined. They will find a way.